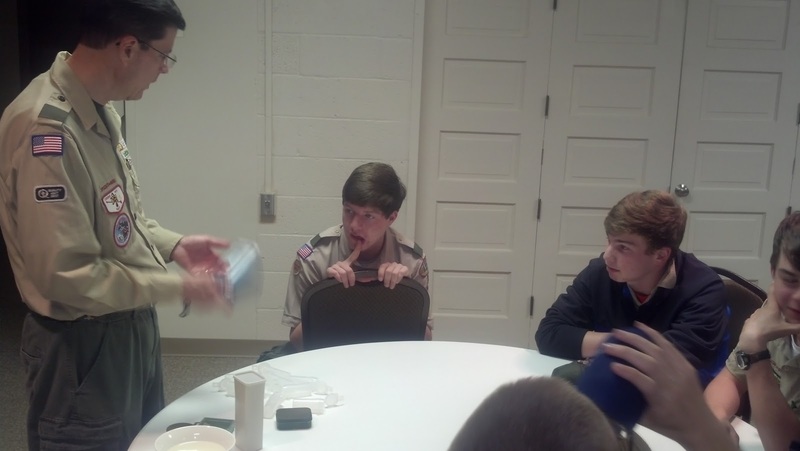 Boy Scout Troop 50 | Chattahoochee Council | Auburn, Ala. | #troop50: I will (still) survive! 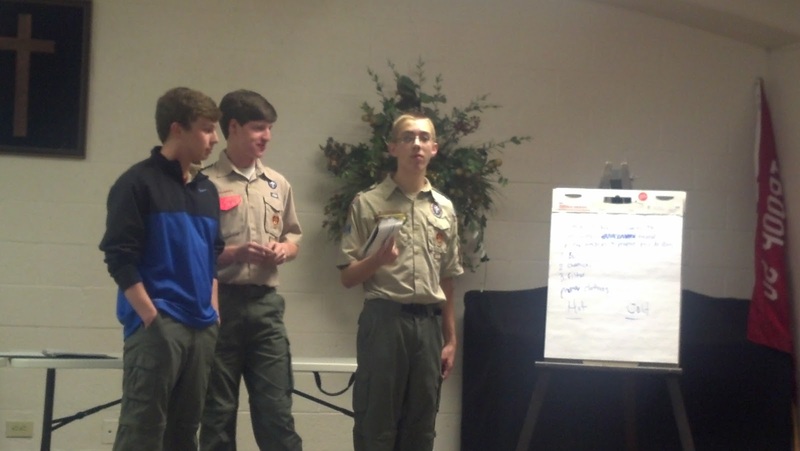 Troop 50 continued its plans for its upcoming wilderness survival campout. 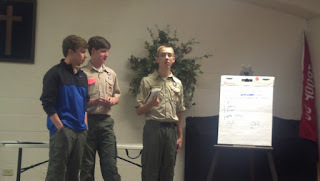 After the meeting opening, members of the Average Joe's Patrol presented members of the troop with suggestions for wilderness gear, clothing and hydration. 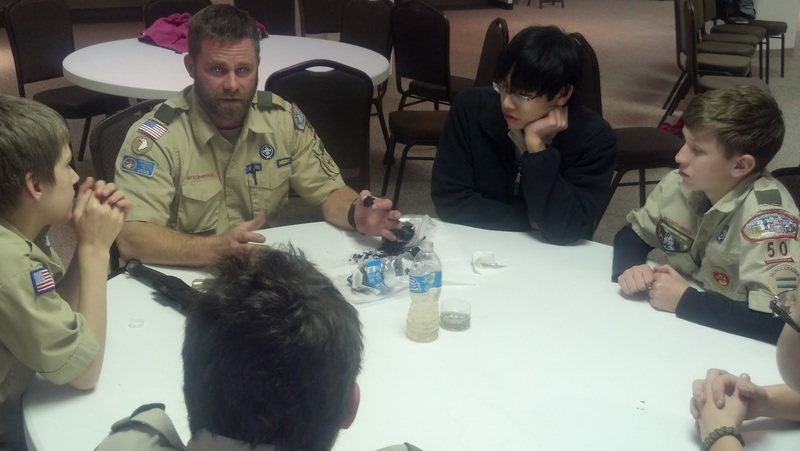 Patrols rotated between stations, where Scoutmaster Andrew Baird discussed the components of survival kits, and Assistant Scoutmaster Jason Smith demonstrated water-filtering techniques. Finally, patrols started on the artistic creations that will come to be known as their patrol flags. We look forward to the grand unveiling of their original works of art, which will become visual identifiers of the troop's inaugural patrols. Stay tuned for proof following this weekend's wilderness survival campout that Troop 50 did in fact survive the wild. We hear it's supposed to be just a tad cold!